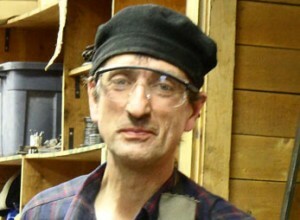 The demonstrator in 2014 was Tony Stewart of Iron Thistle Forge, Whitefish, MT. 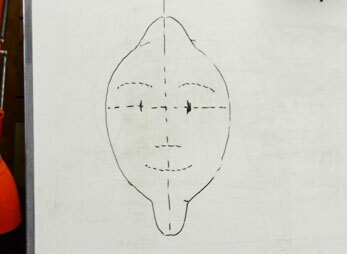 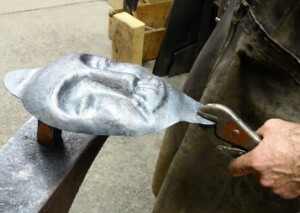 On the Saturday he showed us how he makes masks out of 14 gauge sheet steel. 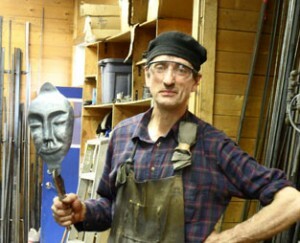 On the Sunday we all had a chance to make a mask of our own. Tony made it look so easy, but the reality was….The weekend took place at Kootenay Forge as usual. Tony donated his demonstration pieces to the auction.